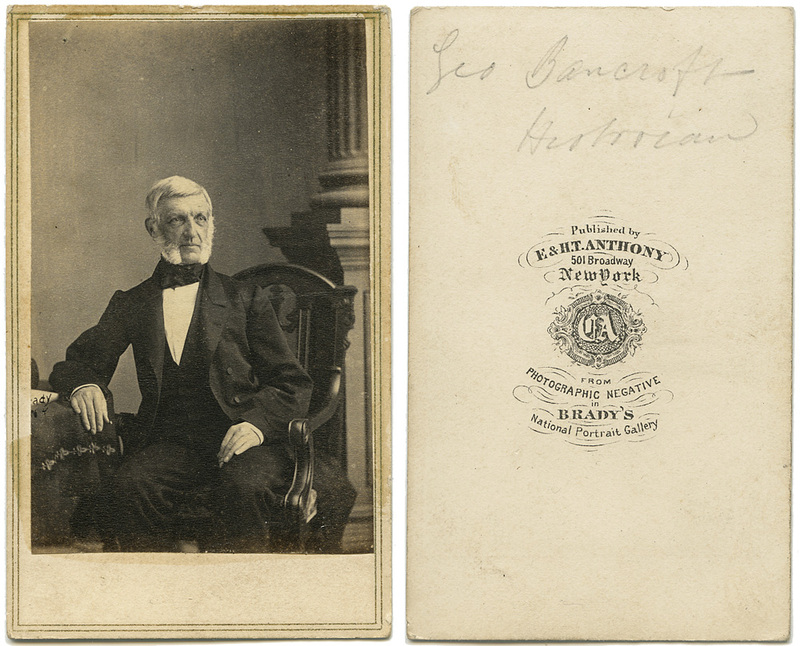 At first I was wondering why a CDV of an American historian would have ended up in the United Kingdom (the seller I bought this from is in England). After reading up on who George Bancroft was, now it makes sense. George Bancroft, in addition to being an historian, was Secretary of the US Navy, founder of the United States Naval Academy in Annapolis, and served as the US Minister to the United Kingdom from 1846-49. After the Civil War, he also did a stint as minister to Berlin from 1867-1874. He lived to the ripe old age of 91, dying in 1891. His political life should not be seen to overshadow his academic life – he entered Harvard at age 13 and graduated at 17, and went on to study in Europe under some of the greatest academics and philosophers of the day. He authored a ten-volume set on the history of the United States, entitled, humbly enough “A History of the United States, from the Discovery of the American Continent to the Present Day”. I also thought you, my loyal readers, could stand a break from all the Paris photos. They’ll resume soon enough.